We provide sensitive support for those going through divorce or separation, ensuring the best interests of children and individuals are looked after. If a loved one passes away and there are doubts about the validity of the Will, disputes can often arise. Melinda Giles has offered expert advice in relation to three Contentious Probate scenarios to guide those who find themselves in situations such as these. This week, she looks at Eric’s dilemma. The passing of a loved one is never an easy thing to deal with, particularly if there are questions surrounding their Will. Melinda Giles has provided expert advice in relation to three Contentious Probate scenarios to help those in situations like this. This week, she looks at John’s dilemma. After four years of study towards her STEP Diploma in Trusts and Estates, our Associate Solicitor, Pippa Bavington, has now completed her studies with a Distinction. To celebrate this fantastic achievement, Pippa has put together a short piece on how this globally acknowledged level of expertise in Probate work has helped her develop her skills as a Private Client solicitor. Get to know our Private Client Expert, Pippa Bavington. From making a Will to more complex arrangements, Pippa’s expertise lies in all areas of Wills, Trusts, and Probate, particularly in cases concerning elderly, disabled, or vulnerable clients. If a loved one has passed away, and you have been appointed the Executor in their Will, you are responsible for administering and distributing the estate in accordance with their wishes. Often, a ‘Grant of Probate’ will be needed for this. In this post, Melinda Giles explains what it is and why you need it. The expertise of our solicitors is regularly recognised by some of the profession’s most distinguished organisations. As well as being a member of a number of Law Society schemes, we have won awards at the Law Society Excellence Awards, the Halsbury Legal Awards and the Modern Law Awards. 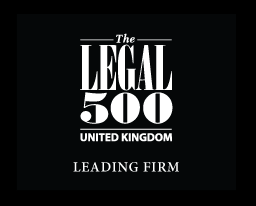 We have also received recognition in the form of the Lexcel mark of quality, a Legal 500 listing and a place on the shortlist of The Lawyer’s Boutique Firm of the Year. Giles Wilson is the trading name of Giles Wilson LLP, which is a limited liability partnership registered in England and Wales under registration number OC385573. Under the EU’s General Data Protection Regulation (GDPR) personal data is defined as: "any information relating to an identified or identifiable natural person ('data subject'); an identifiable natural person is one who can be identified, directly or indirectly, in particular by reference to an identifier such as a name, an identification number, location data, an online identifier or to one or more factors specific to the physical, physiological, genetic, mental, economic, cultural or social identity of that natural person". This privacy notice tells you how we, Giles Wilson LLP, will collect and use your personal data; primarily for providing legal services to you in accordance with the retainer we agree with you; for ensuring we comply with our professional rules concerning anti money laundering and conflict of interest checks; and for dealing with complaints. We may use your data for limited marketing purposes but your data is not passed on to third parties for this purpose, save for where we engage a third-party marketing agency to undertake marketing for Giles Wilson LLP. Why does Giles Wilson LLP need to collect and store personal data? In order for us to provide you with legal services we need to collect personal data for the purpose of completing the transaction, drafting document(s) or resolving the dispute for which you have engaged us. In any event, we are committed to ensuring that the information we collect and use is appropriate for this purpose, and does not constitute an invasion of your privacy. In terms of being contacted for marketing purposes Giles Wilson LLP would only contact you with details of the legal services we provide, or with details of an event in which we are involved which might interest you. Will Giles Wilson LLP share my personal data with anyone else? We may pass your personal data on to third-party service providers contracted to Giles Wilson LLP in the course of dealing with you. Any third parties that we may share your data with are obliged to keep your details securely, and to use them only to fulfil the service which they provide (eg, supporting our telephones or IT, transcription or dictation services). When they no longer need your data to fulfil this service, they will dispose of the details in line with Giles Wilson LLP’s procedures. If we wish to pass your sensitive personal data onto a third party we will only do so once we have obtained your consent, unless we are legally required to do otherwise. How will Giles Wilson LLP use the personal data it collects about me? Giles Wilson LLP will process (collect, store and use) the information you provide in a manner compatible with the EU’s General Data Protection Regulation (GDPR). We will endeavour to keep your information accurate and up to date, and not keep it for longer than is necessary. Giles Wilson LLP is required to retain information in accordance with the law, such as information needed for income tax and audit purposes. How long certain kinds of personal data should be kept may also be governed by specific business-sector requirements and agreed practices. Personal data may be held in addition to these periods depending on individual business needs. Under what circumstances will Giles Wilson LLP contact me? Our aim is not to be intrusive, and we agree not to ask irrelevant or unnecessary questions. Moreover, the information you provide will be subject to rigorous measures and procedures to minimise the risk of unauthorised access or disclosure. We will of course contact you in connection with the matter in which are instructed. If we retain documents for you, such as Wills and Deeds, then we will contact you regularly (usually no more than annually) in order to keep our database up to date. We may contact you occasionally, in relation to information about legal developments or services, which we think may interest you. Can I find out the personal data that the organisation holds about me? Identity and the contact details of the person or organisation that has determined how and why to process your data. Contact details of our data protection manager. The purpose of the processing as well as the legal basis for processing. If the processing is based on the legitimate interests of Giles Wilson LLP or a third party, information about those interests. The categories of personal data collected, stored and processed. Recipient(s) or categories of recipients that the data is/will be disclosed to. If we intend to transfer the personal data to a third country or international organisation, information about how we ensure this is done securely. The EU has approved sending personal data to some countries because they meet a minimum standard of data protection. In other cases, we will ensure there are specific measures in place to secure your information. How long the data will be stored. Details of your rights to correct, erase, restrict or object to such processing. Information about your right to withdraw consent at any time. How to lodge a complaint with the supervisory authority. Whether the provision of personal data is a statutory or contractual requirement, or a requirement necessary to enter into a contract, as well as whether you are obliged to provide the personal data and the possible consequences of failing to provide such data. The source of personal data if it wasn’t collected directly from you. Any details and information of automated decision making, such as profiling, and any meaningful information about the logic involved, as well as the significance and expected consequences of such processing. What forms of ID will I need to provide in order to access this? Giles Wilson LLP accepts the following forms of ID when information on your personal data is requested via the Subject Access Request Form: a copy of two documents such as your birth certificate, passport, driving licence, official letter addressed to you at your address e.g. bank statement, recent utilities bill or council tax bill. A full list of acceptable identification documents is available upon request. I have read the Privacy Notice above and consent to Giles Wilson LLP holding the details contained within my e-mail for the outlined purposes.